Channel Friendly Company, Program, People: Savvius PartnerONE program built to accelerate growth and reward solution providers. Loyal Savvius Customers: Over 90% of customers continue to buy from Savvius again and again. Satisfied Savvius Customers: Over 94% Customer Satisfaction rating. Network Expertise: For over 25 years, Savvius has strengthened its core expertise in relevant packet capture for network performance management and forensic investigations. Complete Networking Solutions: Visibility, Monitoring, Performance Management, Troubleshooting, Forensic Investigations, private/public cloud, WLAN, VoIP, APM/NPM. Growing Market: Companies continue to deploy faster networks that require their network capture appliance to keep up! Savvius Omnipliance® and Omnipliance Ultra™ with Savvius Spotlight™ technology are keeping pace and scaling with the faster networks today and beyond. Broad Market Opportunity: Enterprises, midsize business, distributed networks, remote offices/branches, all horizontal markets — served with select solution providers per region. Extensive Savvius Technology Alliance Partners (STAP): Savvius is proud to partner with: Cisco, Garland Technologies, Gigamon, IBM, Ixia, Check Point, and many other leading technology partners. 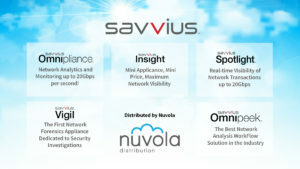 Award Winning Products: Savvius Omnipeek, Omnipliance, Insight, Vigil, and now Spotlight. 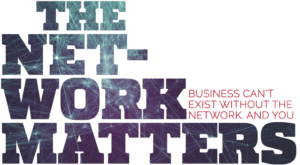 Best-of-Breed Solution: Choose the right networking solution that provides real-time monitoring, performance management, and analytics that give network professionals the actionable data to reduce Mean Time To Resolution (MTTR).